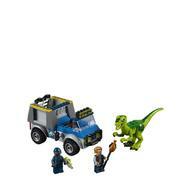 - Includes 2 minifigures: Owen and a tracker. 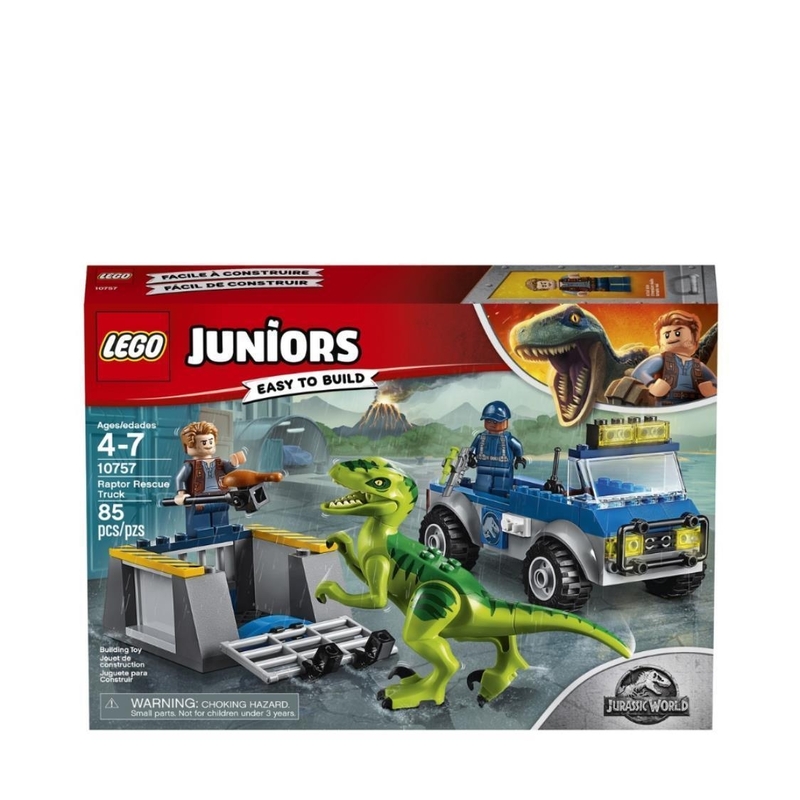 - Features an off-road truck with Quick Start chassis and space on the back for the removable cage with opening gate and space for the buildable Raptor. - Tempt the Raptor into the cage with the chicken leg on a stick. - Drop the gate on the cage to lock the Raptor inside. - Secure the cage to the back of the truck and escape the exploding volcano. - Accessory elements include a tranquilizer gun, walkie-talkie, stick and a chicken leg. 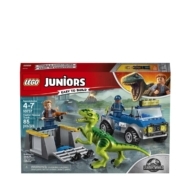 - This fun toy is suitable for ages 4+. - Truck measures over 2” (7cm) high, 5” (14cm) long and 2” (7cm) wide. - Cage measures over 1” (4cm) high, 2” (7cm) wide and 2” (6cm) deep. - Raptor measures over 2” (7cm) high, 4” (12cm) long and 1” (3cm) wide.